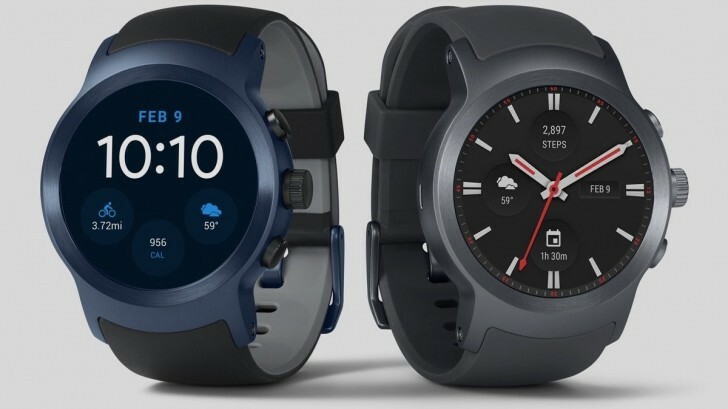 Following LG and Google's official announcement earlier today, AT&T and Verizon have unveiled their pricing and release time frames for the LG Watch Sport. The new Android Wear flagship will be up for grabs at AT&T starting on February 10, which is this Friday. You'll get one by paying $17.50 per month for 20 months using an AT&T installment plan. That adds up to $350, as you'd expect. Alternatively, you can pick one up alongside an LG G5 or V20 smartphone (which needs to be bought using AT&T Next) - and in that case the smartwatch will cost just $49.99, but you are required to sign a two-year service agreement for it. If you prefer Verizon as your carrier, then know that Big Red is pricing the LG Watch Sport at $329.99 with a two-year contract. It will be up for pre-order at Verizon on February 10, though an exact release date hasn't been shared. You can pair it with an existing smartphone plan for $5 monthly, plus taxes and fees. Alternatively, the Single Device Plan costs $10 per month and offers 1GB of data along with unlimited talk and text for your wearable. The LG Watch Sport has a 1.38-inch 480x480 P-OLED touchscreen, the Qualcomm Snapdragon Wear 2100 chipset, 768MB of RAM, 4GB of storage, and a 430 mAh battery. It comes with Bluetooth, Wi-Fi, LTE, GPS, NFC, a heart rate monitor, a barometer, and an ambient light sensor. It's IP68 certified for water and dust resistance and runs Android Wear 2.0.